Attendees will come from companies producing Consumer electronics (particularly cell phones, digital cameras, PDAs, e-mail devices, music players, handheld PCs, and videogames). Attendees will also come from companies specializing in computers, communications, military/ defense systems, industrial and process control, test equipment, and instrumentation. Attendees will learn about latest developments in flash memory, learn to design with the latest flash chips, find new tools for developing flash applications, hear about the latest market trends, find new ways to replace disks in applications, identify new applications for non-volatile memory, find new methods for reducing power consumption. Flash Memory Summit has grown rapidly to become a major event for the computer storage industry. It is the one-stop place to catch up on the latest technologies, see the hottest products, and learn about what's happening and where the latest trends are heading. 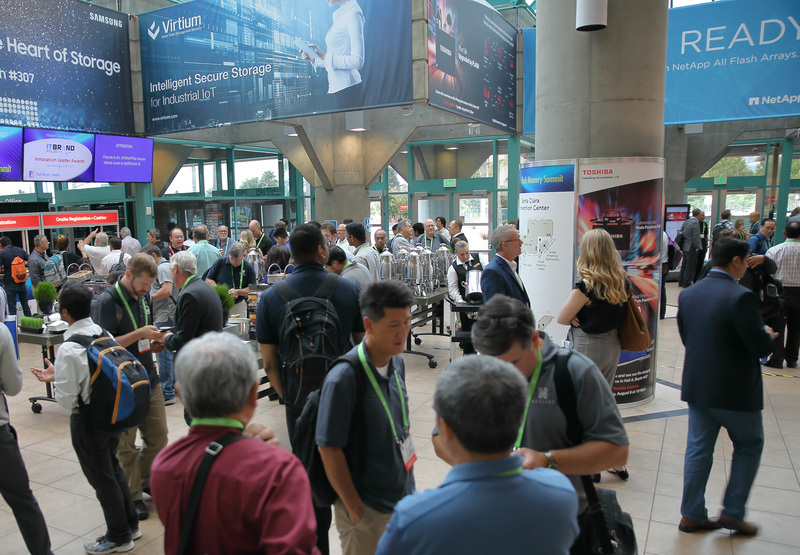 FMS is now the largest storage industry show with the most high-level keynoters from leading companies, the largest exhibits, and the most sessions covering everything from applications and architectures through enterprise storage, controllers, and new technologies. It covers the latest and greatest, including 3-D flash, NVMe and NVMe-oF, persistent memory, new non-volatile technologies (such as 3DXPoint and MRAM), controllers, enterprise applications, and market research. As one past attendee put it, "Flash is a big society and FMS is the right show." Promote flash memory to a wider market of equipment manufacturers, solution providers, system integrators, consultants. Lunch tickets may be purchased separately.No refunds on tickets purchased. Pick up tickets on site with badge holder at Registration Desk. 50% refund if cancelled by July 15th with written cancellation request. No refund if cancelled after July 15th but substitution of names if requested in writing by original registrant.